Clifford S. Bordeaux, Esq. -Of Counsel- practices primarily in the areas of business law, trust administration, and bankruptcy. Cliff has been practicing law since 1997 and has advised hundreds of individuals and small businesses with tax and business planning, trust administration, and insolvency matters. Cliff was previously associated with the firm from 2004 through 2008 and rejoined the firm as Of Counsel in 2018. 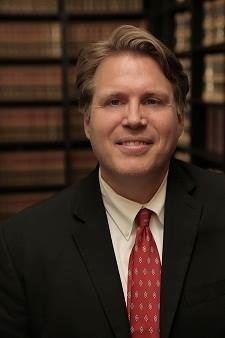 Cliff received his bachelor's degree from the University of California, Berkeley and his Juris Doctor from the UCLA School of Law.Cliff is a California State Bar Certified Specialist in bankruptcy law. James F. Miller, Esq. | Judith M. Hills, Esq. | Courtney A. Martin, Esq. | Veronica V. Maldonado, Esq.